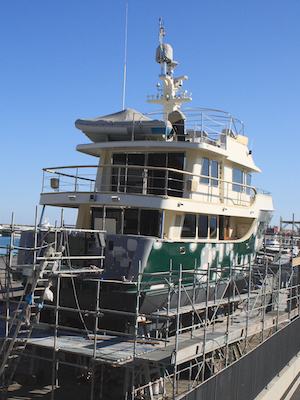 NEW ORLEANS – A fishing vessel owner and his passenger are seeking damages against Hilcorp Energy after his boat collided against an allegedly unlit and unmarked platform. Donald Gaspard and Jesse Trahan filed a lawsuit on March 29 in the U.S. District Court for the Eastern District of Louisiana against Hilcorp Energy Corp., over alleged negligence. The plaintiffs assert that they were traveling aboard the Tru and Wes, owned and operated by Gaspard, on or about Dec. 4, 2015, at approximately 4:30 a.m. when, suddenly and without warning, they struck a platform owned and operated by Hilcorp. The plaintiffs allege that Hilcorp was negligent when it failed to mark its structure with lighting, failed to have any sort of audible warning on the structure, failed to warn them of the location of the structure and created and maintained a hazardous platform in open water. Because of said alleged actions, plaintiffs allegedly suffered injuries to their knees, lumbar and cervical spines, hips and shoulders. They allege to have also suffered loss of income, medical bills, financial loss, mental anguish, loss of earning capacity and loss of enjoyment of life. They are now suing for an undisclosed amount of damages together with interest, attorney fees and the cost of the suit as well as any other rewards deemed just by the court. They are represented by Lawrence Blake Jones and Kristi A. Post from Scheuermann & Jones in New Orleans.